On Saturday March 19th I caught up with five Irish MuayThai fighters and asked them about their love for boxing. This is the first of the interviews from that show. Competing at 57 kgs, Irish MuayThai fighter Siobhan Foley has been training for five years but just starting her fight career. Like many women involved in martial arts, she had no intention of fighting at the beginning, it was all about the fitness. "I never thought I’d do it," she says in the dressing area behind the fights. "My first fight was the best and the worst moment of my life.” Now with seven fights behind her, she is getting used to being in the ring. Siobhan started in the amateur circuit – they wear a helmet, shin-guards, a chest-guard and elbow-pads as well as using 16oz gloves. 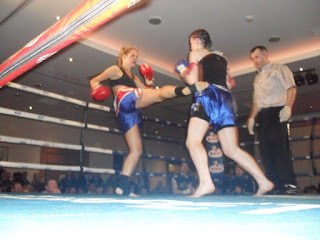 Saturday’s fight was C-class professional which she much prefers. “I loved it, this style is much better.” Of course professional in Ireland doesn’t mean the same as in Thailand where fighters don’t have any other income. Here it’s just about wearing protection or not, and how long the rounds are. Siobhan works a regular 9-to5 with Bord Gais and heads to training in the evening. Before this fight, she added in daily 7am runs to the routine. It’s normal in MuayThai to fight at a lower weight than you “walk around at” so for Siobhan this means dropping from 62kgs to 57kgs – running, running and running. So her next fight isn’t sure yet, but with shows taking place every month around the country, she’s hopeful the wait won’t be too long. This just made me hurt all over. But it was cool to see women can excel in this sport. Not one I'd want to do, but I admire the women who do. Well, I'd say Siobhan might not be up for the massive mountain cycle-rides you do! It's always fun to read about other sports though and see how they fit together. 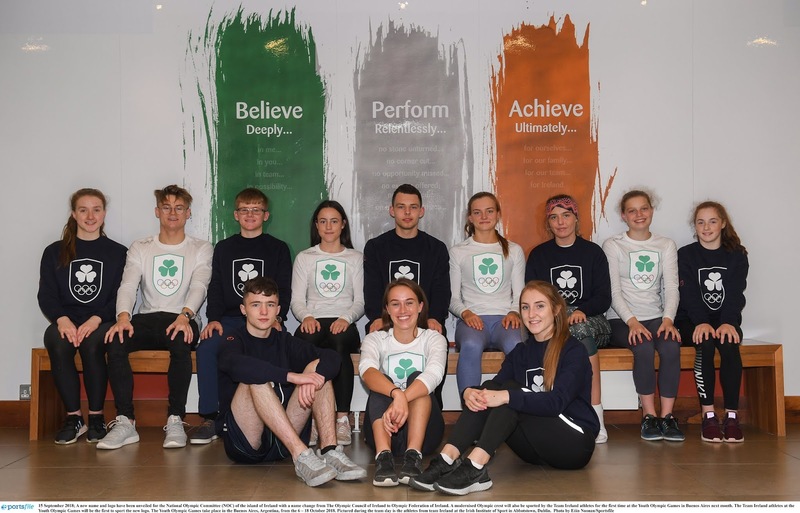 Siobhan is a fantastic sportsperson, excelling not only at her sport but also in her pragmatic approach to fostering team spirit. 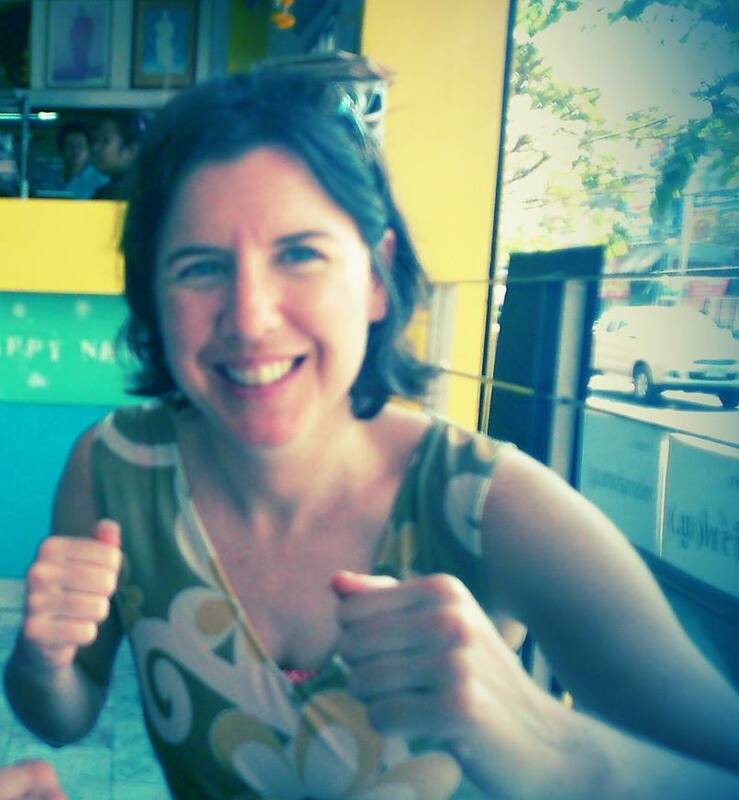 Muay Thai can be a lonely sport when coming up to a fight - every champ & under dog needs a team mate like Siobhan. No prizes for guessing which team you are on! It was great talking with all of you that night, will let you know when your own talk is up here!